I woke up one Monday morning and it dawned on me that my “get up and go” had actually done exactly that. It had got up and slipped off without me realising it had happened. I was shocked and wondered “was there a moment or conversation which was the crucial point when my motivation just stopped?”. I know I’m not alone in this because it’s a topic which rears its lethargic head regularly with clients or friends. Have you ever found yourself waking up in the morning and after you have shuffled out of bed to get your coffee thinking “Oh no here we go again”? Do you have a list of “things to do today” which was really a list of things to do last month? Are you finding much of your time is spent “forcing yourself” to do things or trying to enjoy activities? Often it creeps up on us and slowly but surely we find ourselves just getting by rather than living a life which has meaning and joy at its core. We all have times when we feel that our motivation has somehow drained out of us while we were asleep, or suddenly found ourselves living a life of quiet discontent. Have you ever found yourself waking up in the morning and after you have shuffled out of bed to get your coffee thinking “Oh no here we go again”? Do you have a list of “things to do today” which was really a list of things to do last month? Are you finding much of your time is spent “forcing yourself” to do things or trying to enjoy activities? Often it creeps up on us and slowly but surely we find ou selves just getting by rather than living a life which has meaning and joy at its core. So how can we change this slow shuffle to the grave and start to re engage with our passion, motivation and joy again? To help create change its important to understand that our thoughts,feelings and behaviours are all interconnected . Habits are created by our behaviour and thinking in the moment which is reinforced by our feelings,these feelings are often mistaken for fact and override our logical goals and needs. So imagine one of your goals is going to the gym, while logically you know it’s good for you, is in line with your goals and will help you feel more energetic, you lack the feeling of “motivation” and create an unhelpful emotional equation. We listen to the “feeling” as being fact and then our thoughts “I never follow through, I will always be unfit etc” and behaviours ( withdrawal, eating comfort food,engaging in pleasurable distractions) follow suit creating a habit which is powerful and very convincing. We then associate “going to the gym” with a negative feeling and negative feelings are powerful demotivators!. Many people make the mistake of believing feelings are fact, need to be acted on and that they are permanent,often waiting till they feel like doing something before they start.When in reality if we think well,behave well our feelings will generally follow and create a different and more joyful habit. 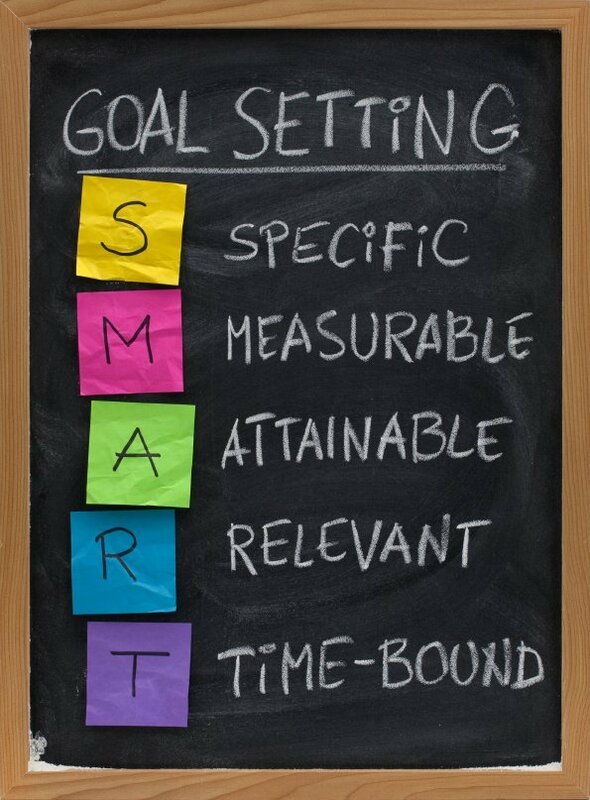 Break down goals into simple steps using SMART goal settings and keep this some where visible. Your goals should include the strong positive emotional states you are seeking and thoughts kept positive and empowering so you change those unhelpful habits into empowering and ones full of joy! Here are some useful suggestions to get moving and get out of the rut. Gratitude journal, or join on of the many online gratitude/positivity groups so you get positive reinforcing messages. Negativity jar, you write the negative thoughts, behaviours or feelings down and get rid of them in a jar.